Vineland, say hello to your new recycling and trash carts! Updates and news from various city departments. Report and track Non-Emergency service requests. Meet Mayor Anthony Fanucci, request proclamations, awards, and more. Meet the Council, agendas, minutes, meeting schedules. Read the latest news about Vineland. See Community Vision. Find Development Application Guidance. Parks, Recreation, Shopping, and more! Criminal Complaints, Ordinance Violations, and Traffic Tickets. 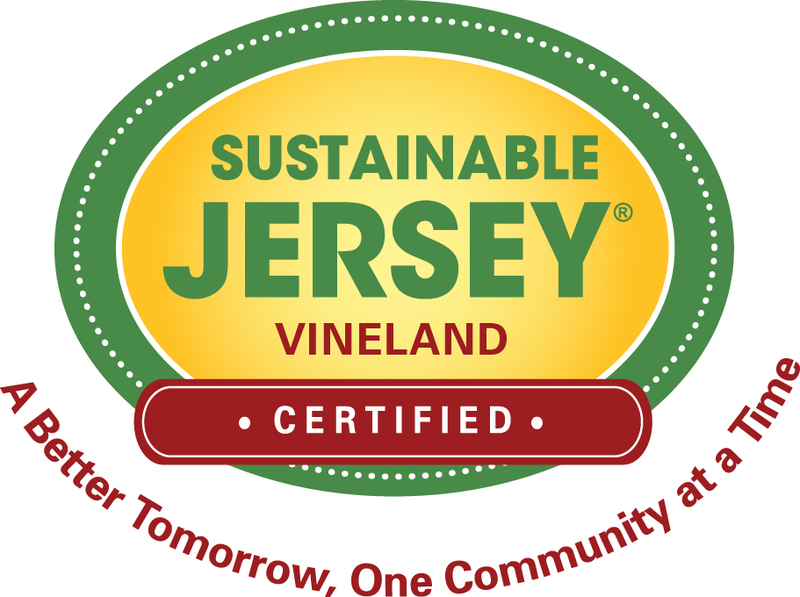 The City of Vineland has met the rigorous requirements to achieve Sustainable Jersey Certification. Sustainable Jersey is a state-wide initiative focused on helping municipalities identify and implement strategies that reduce environmental impacts through resource protection; promote sustainable land use practices; support health and wellness programs; and encourage citizen engagement in municipal government. Certified towns represent an outstanding group of municipalities that are making important contributions toward the long-term goal of a sustainable New Jersey and a sustainable world. Click here to find out if your business is eligible to be certified as a Sustainable Eco-Friendly Business.